I had 2 codes and they have both expired! Just an update, on chat to VeryMe now and they have told me the 70,000 limit hasn't been reached but was expired this morning due to a technical issue. Ok thanks, Guess I missed out again GRRR! If anyone still has a spare, I can swap for a Caffé Nero fully stamped card. PM me if interested! A frequent user of this offer. Always works for me! Just be wary, if you've had this before from HSBC, this will likely be the same code and won't work at the till. Been stung the last two times this has been posted, but luckily blagged it. Emailed them and got 300pts added manually, also complained about the drink which was absolutely rubbish and was given 400pts extra. Won't be doing this offer again as the bonus points never work for me despite receiving an email every week. I used this late yesterday afternoon but only got 10 points. A few people have said that it takes up to 48hrs for the points to be added but the screenshot above shows it was added fairly quickly. Did anyone else get the points yesterday afternoon, or did I miss out? This offer has been on a few times since January. I see you like Costa nearly as much as me! Although Caffè Nero rewards are better. Keep an eye on notifications through the app as emails weren't sent this time around. I've had the bonus 300pts three or four times since beginning of January. It's working! The same offer was back in January and both worked! Thanks! Fair point! Hey if you enjoyed it why not. To be fair I’ve not tried the fancy new machines but the last one I had was really pretty poor. I’m stuck in a premier in this evening so might give it a try in the morning out of curiosity! I should have remembered that HUKDers don't like the account specific Deals (lol) The search function has let me down today (had three Deals nuked, which is a record for me). Costa must assume that all us provincial plebs are content to slurp from muddy puddles or something. Not that Londoners are elitist or anything. I saw an avacodo in the supermarket the other day, what a time to be alive. Please see confirmation below on Twitter. "Costa collect is only available in London at the moment I’m afraid"
Yep. And annoyingly despite two at Paddington Station, only one is part of the order ahead facility. So you have to be careful which ones you choose! OK I've asked Costa to clarify. Not sure why single mums get tarnished as being lazy and jobless. I’m a single mum, only work part time and studying full time and I don’t get any handouts other than child benefit which everyone gets anyway. What are all these so called benefits that single mums get?!!! This deal is only a deal if you bring 2 kids. If you have no kids or they all grown up then it still costs the same per adult. Wake me up when there is a deal for those without kids. No, reread the post. They want THREE unlimited breakfasts. It's run by the same company, so I'm surprised you've had to pay anywhere like that for defrosted chain crap. You got stung, any hotel that has the facility to offer breakfast should be serving you better. It's not even a Cornwall thing, I'm sure you could get better service for less in a b&amp;b with character. I'm disappointed you feel this way. You wouldn't find a better guest than me, always polite, always leaving my room spotless and on time. My point was only about my personal view on the breakfast at the adjacent pub/restaurant. I think £18 for 2 breakfasts is quite a bit and hoped for better quality. Feel free to check any of my previous posts, you will see I am only ever polite and praise people's efforts. 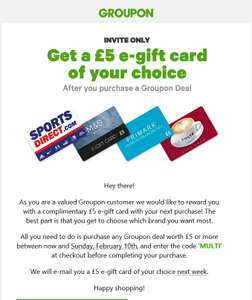 Gollywood wrote: Is invite via email or logging in to your Groupon account? The invite is by email but there’s no harm to see if your Coffee code works on your account before pressing the buy button. The invite is by email but there’s no harm to see if your Coffee code works on your account before pressing the buy button. anyone have a spare code please?? I thought the offer was over...but it's just moved from the main banner at the top of the page to the 'little lifts' line further down the page. To me, it certainly is. Tastes like off weetabix at best. My appearance here wasn't to slate the deal, (it's hot if you like vile coffee) just to give away a code to someone who doesn't mind drinking it. "revolting" - it might not be your preference but its far from revolting! This coffe isn't terrible but it definitely has a old grind taste to it. Go for Italian roast if you like high street coffe shop taste. Aldi ones are good. 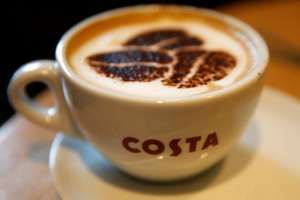 costa coffee isnt that great - its just ok ground costa i have had from tesco has been ok as well, but different what i am trying to find out is if its different stuff all together dont make me go to b+m! Exactly. Costa in store coffee is quite nice, especially they’re new character roast, but this stuff is just a labelled up big standard coffee that beads absolutely no resemblance to what you’ve had before. Lavazza do quite nice beans and grounds of various strengths. Taylor’s lazy Sunday is a good all rounder too, but most of their range are nice, Hot Java Lava is nice if you like a little stronger. Personally I take those as my favourites and don’t drink instant or shop’s own brand coffee. I'm assuming everyone is implying that whatever Costa use in their outlets, isn't this stuff. And this is cheap coffee that they are just sticking their name on or something. I'm not an expert, but the last coffee I had in Costa was quite nice, so I'm guessing they wouldn't eviscerate their business by allowing punters to make the same thing at home. It did. But I think it's because I texted "ACCESS" as the app suggested, not because of the email which bounced back. Did you get the £10 via live chat or on the phone? I might ask them what they can do as my offers are still not working. Lol me neither, poster mentioned an email though. Wondered if there was another route to get this fixed. Tried online support etc. They did give me a £10 off next bill good will gesture though. Still it will get more annoying as time goes by when even more VeryMe treats get missed. Text message did nothing for me. Cafepod are £1.49 in Poundstretcher. My voucher is now sitting in my voucher codes account. 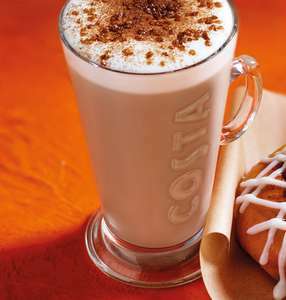 It's a £15 QR code similar to the catch a wish promo Costa have on at the moment. I created a new account to get spyro, was nearing the end of the offer late Sunday. I do remember reading in terms it could take 14 days to verify, makes sense as some may try to return and get the gift card too. Sitting at the same situation. Was a Xmas treat to myself but if it doesn't come through I'll feel cheated and can see the game being returned. 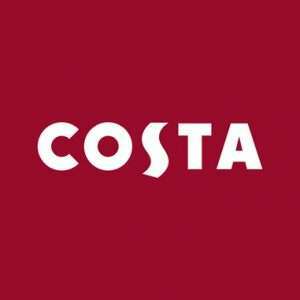 Costa coffee 200g for £1! Excelente price for decent coffee, don't know if it is local, this was at Dudley. Did you mention it was a catch a wish voucher? I've just said Costa gift voucher and never encountered an issue - I've been to multiple stores. Went to my today,all week,no problem;) . Didn't give me either;) . @tungle106 perhaps you'd be interested? Does anybody want my Costa code? Expires tonight! Nice, how was the porridge? No idea but when i bought one before,they just about filled the cup.So when i bought this one i said can i have it like the one advertised,pointing to the picture next to the price list;) . This offer has always been running, it's their sign up offer to get people to register. Heat added though @ncd as it's a good heads up and haven't seen it posted for a while. Save plastic and just use the app with new login details. Sorry if already posted. The game takes 1min (or less to play). Might be worth clearing your cache and playing again if you win a £1 voucher but would like a £3 / £5 voucher. It won't work, same thing happens to the Wuntu codes. How can you check the balance if the card number expired? Used them this afternoon had a couple of £3 ones left so was a couple of free coffees. Don't bother with Three... You'd get one sausage roll every few months if you're lucky. I suggest O2. No, the other side was blank. Sorry. I went to Vodafone and ask a few questions, it sounded to me that the people on pay as you go might not get the perks contract get.I was thinking of doing a £10 top up for the deals like o2 but don't think I'll bother,and you got to top up every six weeks. No coffee for me on my app - presuming they've run out?